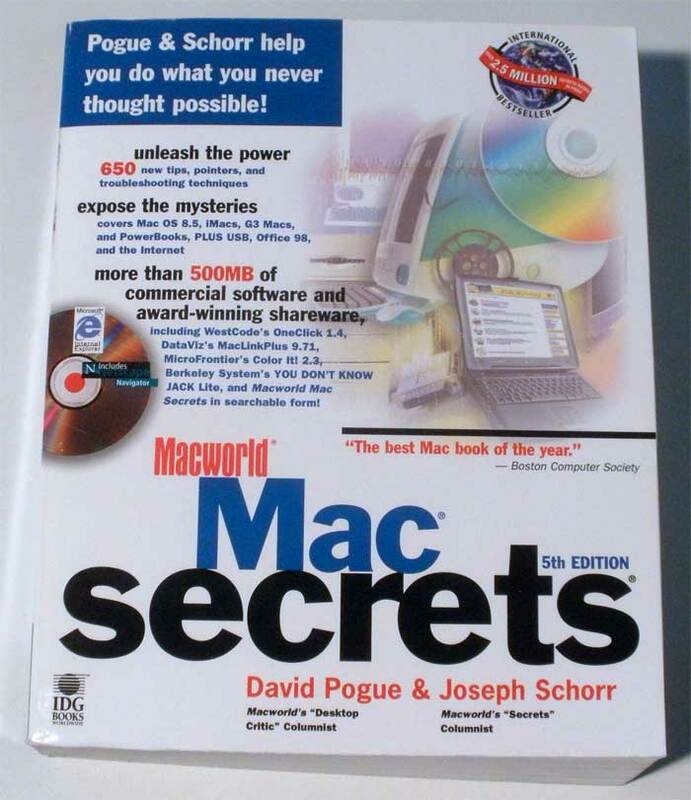 Completely revised and updated, this new edition of the international Macintosh best-seller brings you authoritative, thorough coverage of Mac OS 8.5, the red-hot iMac, USB, G3 Macs and PowerBooks, Office 98, and the Internet explosion - all with the expertise and humor you've come to expect from Pogue and Schorr! 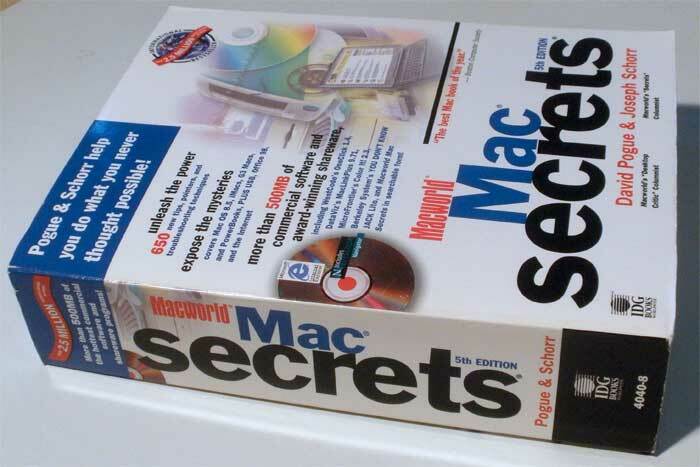 Overhauled and fatter than ever, this new edition packs over 650 new tips, productivity pointers, and troubleshooting techniques. 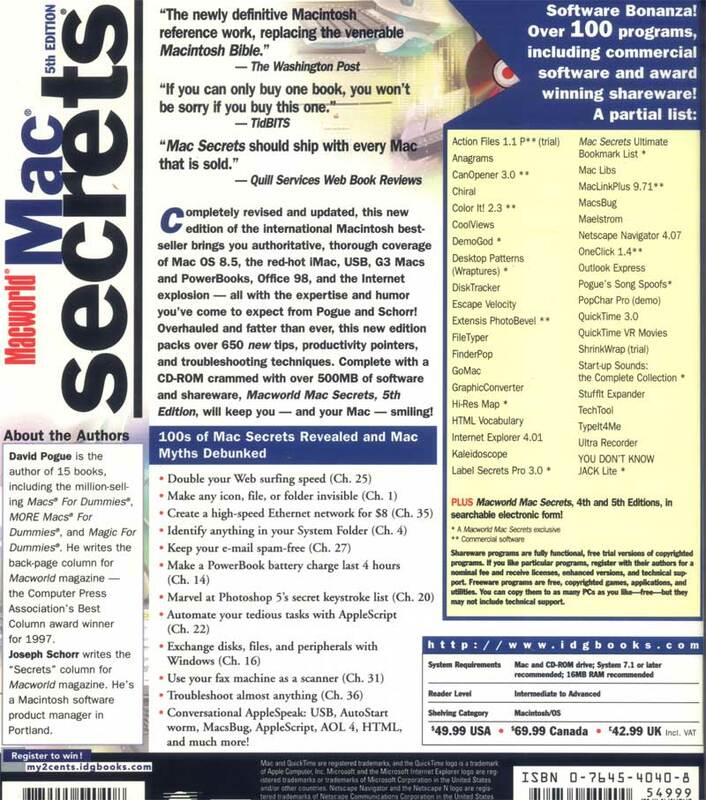 Complete with a CD-ROM crammed with over 500MB of software and shareware, Macworld Mac Secrets, 5th Edition, will keep you - and your Mac - smiling!